If you and your loved ones depend on your salary for financial support, then you probably need disability income insurance. Think about it, if you were to become disabled, even for a few months, how would you and your family manage? Disabling illness or injury is one of the leading causes of personal bankruptcy in the United States. Just like any other form of insurance, disability insurance (short term or long term) promises compensation in the eventuality of an injury or handicap that prevents the policy owner from continuing his/her normal occupation. If you are thirty-five years old, you have a 50/50 chance of experiencing a disability lasting three months or longer before you retire. One in seven workers will become disabled for more than five years before he or she reaches age 65. 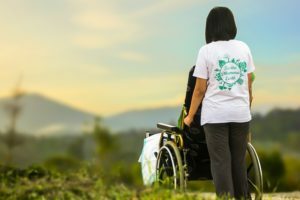 Many people mistakenly believe that the government or workers' compensation will pay them an income if they become disabled. Actually, more than 80% of the people who apply for Social Security disability benefits are rejected. Social Security does not pay benefits for partial or short-term disability. Your disability has to either last a year. or be expected to last a year, before you can collect Social Security. Worker's Compensation pays only if you were injured on the job and benefits are often limited to a few years. If your employer doesn't offer a group plan or you don't like what you're offered at the office, you can shop around as an individual. But keep in mind that, without a group, your price is based on your unique situation and needs. Choosing the right financial advisors to help you grow a successful business and/or achieve personal financial independence is critical. You’ll want an accomplished insurance advisor, a knowledgeable accountant and the right banking and investment advice. Properly protecting your growing assets also requires special expertise. You can certainly spend too much to insure what you have, but the cost of inadequate protection can be devastating. The insurance professionals at Leap / Carpenter / Kemps Insurance Agency can help assess your exposure and develop a plan to cost-effectively minimize your potential for loss. So whether it is workers' compensation coverage and health benefits for your business, or homeowner's and personal liability coverage for your family, let the knowledgeable staff at Leap / Carpenter / Kemps Insurance Agency be part of your team of valued financial partners.